Not a daring eater? No problem! 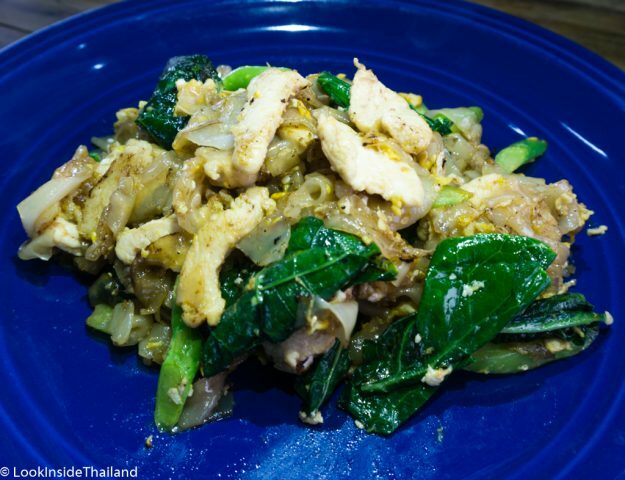 Gai yang, or Thai grilled chicken is a popular Thai food that’s not too spicy but has a unique flavor that everyone will love! 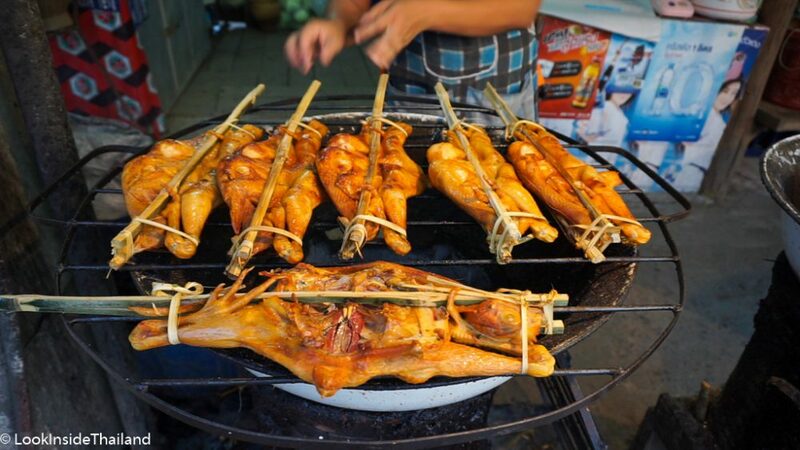 To make gai yang, the street vendor will take a whole chicken that is marinaded in a special blend of spices and sauces. 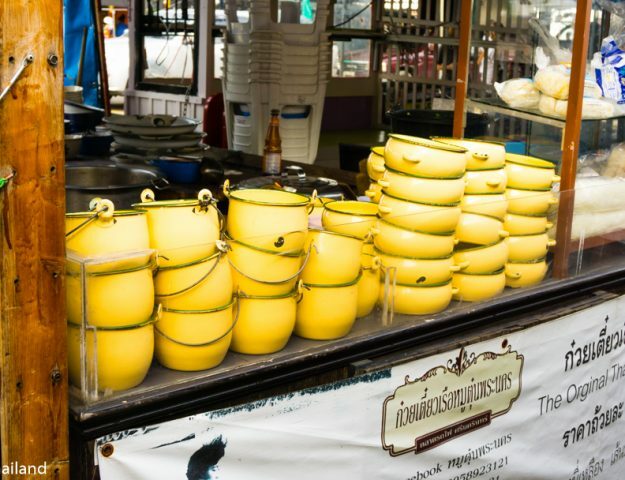 The marinade is made with lemongrass, garlic, turmeric, cilantro, pepper, palm sugar, fish sauce and soy sauce. After marinating the chicken, it’s split in half and the meat is pounded. This makes the chicken extra-tender and helps to flatten it, so it can be placed in the wooden sticks and cooked evenly. 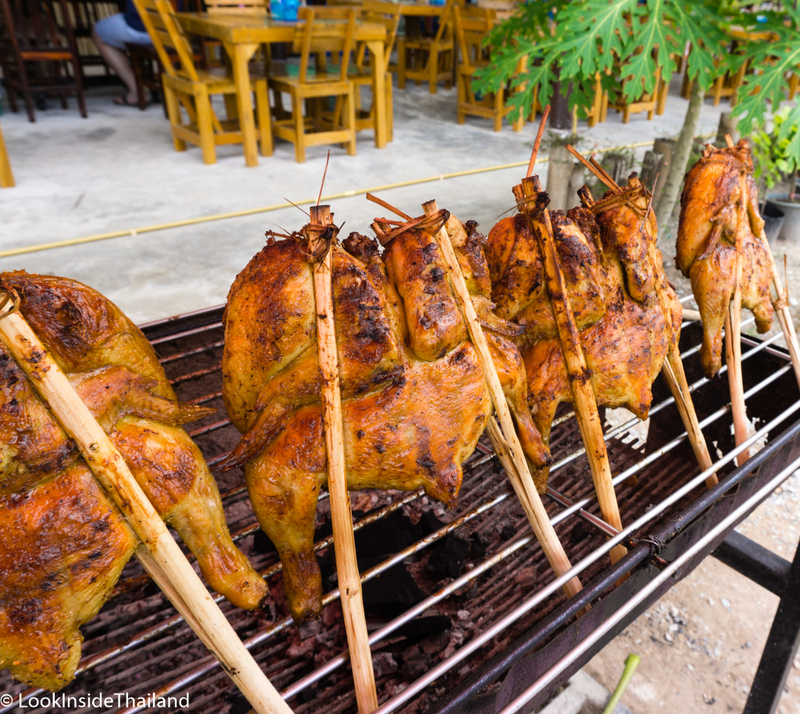 Then the chicken is grilled over low heat over charcoal for one to two hours. 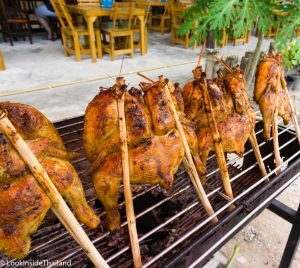 The street vendor will leave the chicken in the bamboo sticks over a warm heat until you buy it. The sticks are then removed and he will slice it up into pieces and place it on a plate or tray. It will be served with a spicy sauce or a sweet sauce, but the best thing to eat with gai yang is sticky rice! I love to eat gai yang with som tam and sticky rice. It’s the perfect meal. You have to try it!